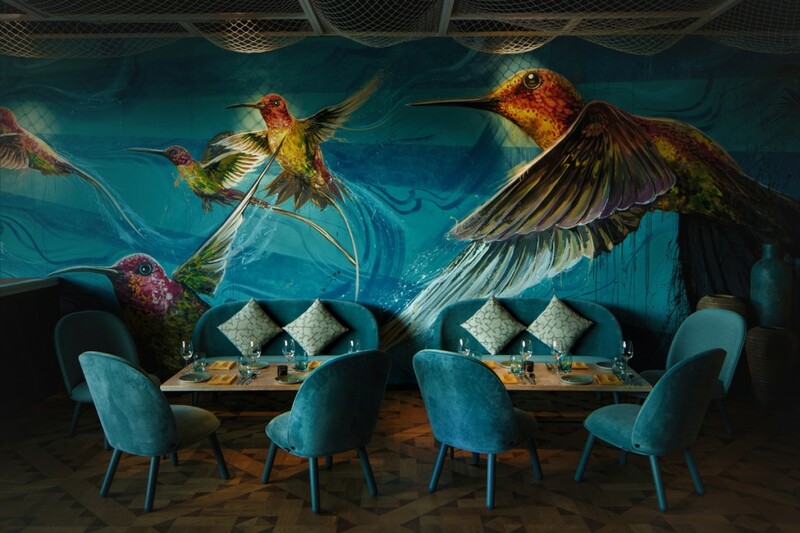 into were engaged by Meraas to work alongside interior designers Michaelis Boyd Associates on the lighting design for the new LIMA restaurant in Dubai. 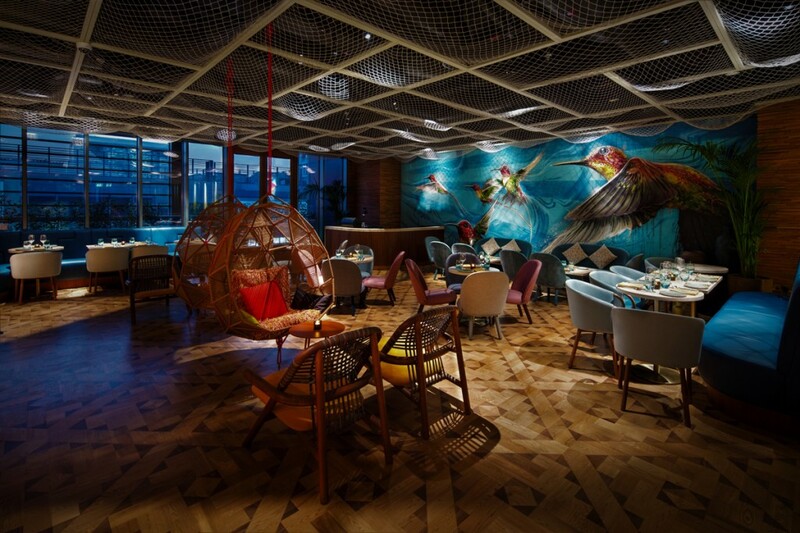 LIMA Dubai is an exciting extension for LIMA, which took London by storm in 2012 and went on to become the first Peruvian restaurant to be awarded a Michelin star, retaining it to this day. 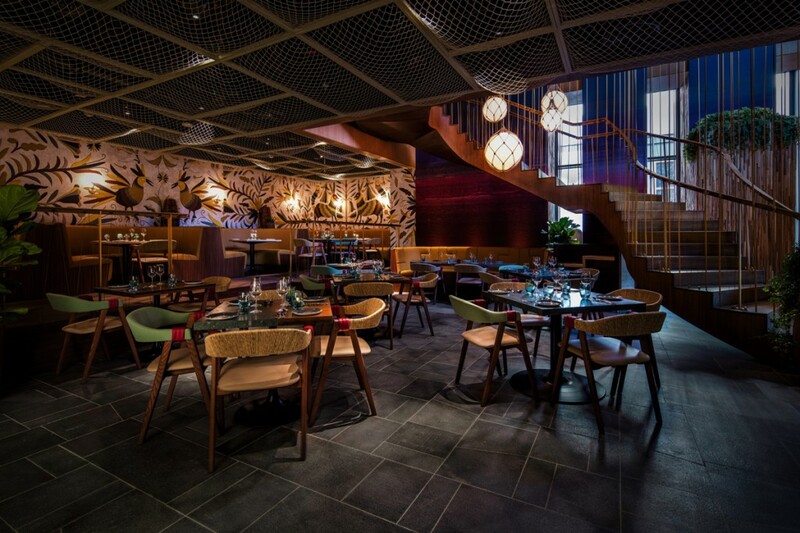 Set in the heart of City Walk 2, LIMA Dubai is created from beautiful natural materials sourced from Peru and offers guests private, formal and semi-formal areas with a fashionable cocktail bar and lounge. 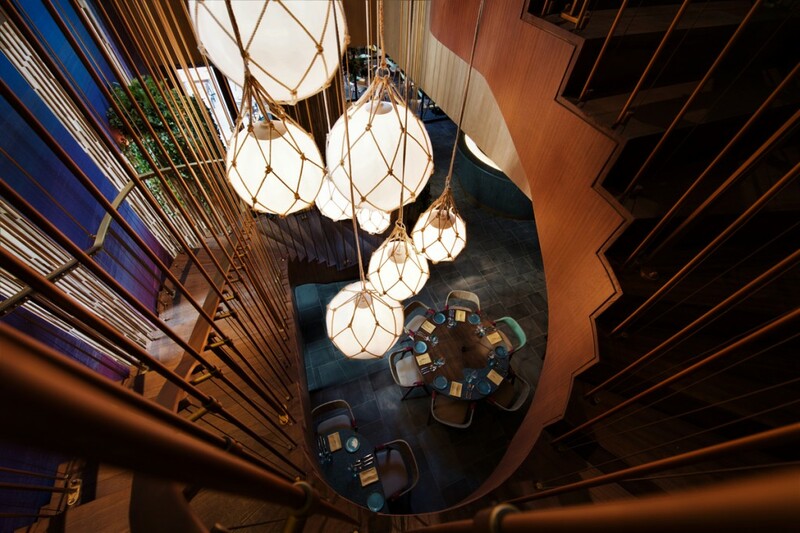 The lighting concept is based around creating a theatrical ambience which showcases the bar and open kitchen, ensuring they take centre stage. 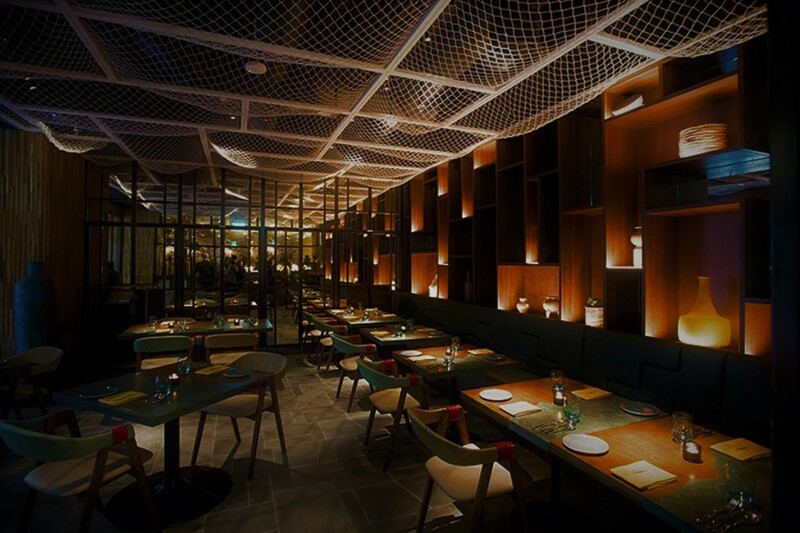 We have utilised gobo projectors throughout to cast shadows through the ceiling net structure onto the floor area between dining tables. 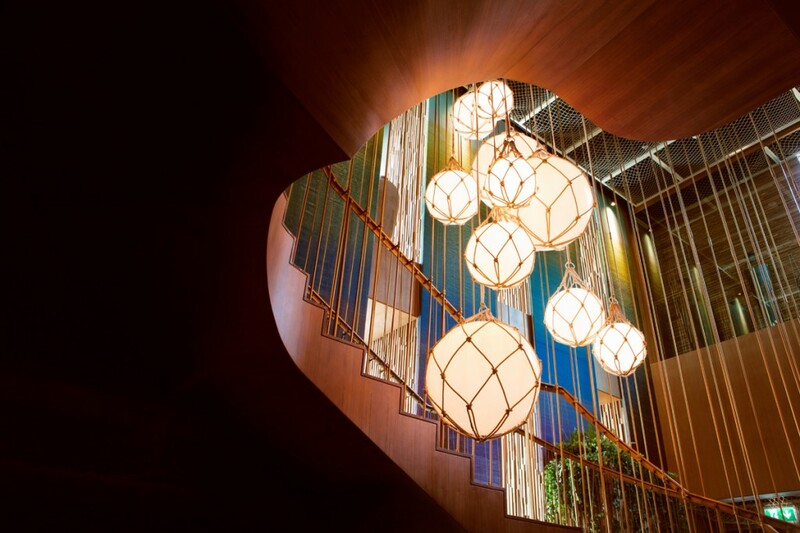 Very warm white LED lighting has been integrated into furniture through the space, this partnered with soft diffused decorative lighting elements helps create a layered lighting scheme.